Doing research on Social Big Data? Please consider submitting a paper/poster abstract or panel submission to the 2014 Social Media & Society Conference (Toronto, Canada, September 27-28). Submission deadlines are fast approaching! We live in an era of “Big Data”. Petabyte and exabyte-size datasets are becoming increasingly common. Much of the data is coming from social media in the form of user-generated content. What do we do with all of these “social” data and how do we make sense of it all? What are the inherent challenges and issues surrounding working with social media data? How are social media platforms and the data that they generate changing us as individuals, changing our organizations and changing our society? Additionally what are the political, ethical, privacy, and security implications of the wide availability of these data? These are just a few questions that we have for this year’s participants of the Social Media & Society Conference (#SMSociety14). The Social Media & Society Conference is an annual gathering of leading social media researchers from around the world. Now, in its 5th year, the 2014 Conference will be held in Toronto, Canada from September 27 to 28. From its inception, the conference has focused on the best practices for studying the impact and implications of social media on society. The conference offers an intensive two-day program comprising of paper presentations, panel discussions, and posters covering wide-ranging topics related to social media. 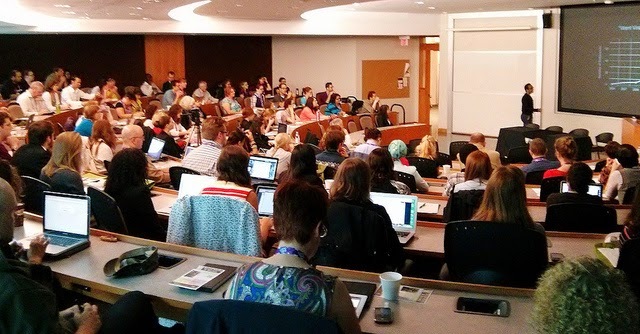 Organized by the Social Media Lab at Dalhousie University, the conference provides attendees an opportunity to exchange ideas, present their original research, learn about recently completed and work-in-progress studies, and strengthen connections with their peers. Last year’s conference hosted nearly 200 attendees, featured research from 90+ scholars and practitioners across several fields from over 60 institutions in 15 different countries. We invite you to submit papers (extended abstracts), panel proposals and posters on a variety of topics including (but not limited to! ): Social Media & Big Data, Social Media Impact on Society, Theories & Methods, and Online/Offline Communities. Full papers are not required for this conference, only an extended abstract (~500 words, excluding references) on a completed or well-developed project related to the broad theme of “Social Media & Society.” All submissions will be peer-reviewed. If selected, the author(s) will be invited to give a 15-minute oral presentation followed by a 5 min Q&A period at the conference. 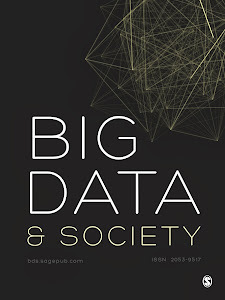 Author(s) of accepted paper abstracts will also be invited to submit their full papers to the Big Data & Society Journal.